Born and raised in Newfoundland to Salvation Army Officer parents, Sheldon has travelled across Canada in his role as a Salvation Army Officer. Spending most of his time in Ontario where he served as the pastor in two small churches before becoming the Assistant Executive Director at the Kingston Harbour Light, his first stop in Social work which led to what has become a heart’s desire and passion in his ministry. After a 5 year stay in the United Kingdom, Sheldon and his wife Sharon moved to the United States where they took on different leadership roles in Salvation Army ARC’s in the Southern Territory, serving in Northern Virginia as assistants, taking full leadership and rebuilding a program in Nashville and moving on to become Mission Specialists in Memphis. Now in Victoria, Sheldon and Sharon have settled into different roles, Sheldon at the ARC and Sharon at Sunset Lodge, feeling incredibly blessed and excited to see how God will use them in this chapter of their lives. Karla started her career as a missionary / ESL teacher overseas in Japan. When returning home, she continued her work in international education until starting work at the ARC. She has a bachelor's degree in behavioural science and religious studies. She has been here at the Victoria ARC since November 2014, and she continues to find great fulfillment in seeking ways of connecting people with what can give them hope and strength in difficult times. Spirituality is all about connection; to oneself, to community, and to the divine. Karla also acts as volunteer coordinator here at the ARC, recruiting and supporting volunteers. Karla is also the Family Tracing representative for Vancouver Island, supporting people searching for lost family members. Mark came to us from Financial Administration in Thrifty Foods (2003-2004) with a Degree in Business Administration, Accounting and Business Management as well as a Forestry Technician Diploma from Selkirk College. He has served at the ARC since 2004 as Business Manager. Sean, born and raised in Victoria, started at fourteen as a restaurant dishwasher in a local Esquimalt Pub, later running its night shift while attending high school. He then enrolled in the Camosun College Cook Training program, arranging his own work term placement through a local. hotel where he gained a job and apprenticeship. As part of a three year program followed by a g full time job for the same company for eighteen years he progressed through second cook, junior sous chef, executive sous chef and finally executive chef in the same fine dining Victoria Hotel. A chance to move within the company resulted in moving to the biggest hotel in Prince George with three restaurants in casual, fine dining and Japanese restaurant plus catering, where he worked as an executive chef job in in for six years. Following this, he came back to Victoria where he worked for about a year. After this he started working in oil field camps in Fort McKay, effectively a small city of 9000 workers with three camps, in charge of one camp providing 2400 meals twice a day for five years. 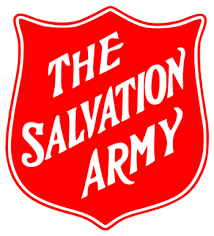 He again made a change, when he saw and applied for a posting for Salvation Army Food Service Manager, bringing him to his new calling serving the homeless population here. Jon has a Bachelors degree in Political Science and Government from the University of Victoria (2008-2009) and a Master of Arts Degree in Multi/Interdisciplinary Studies at the University of British Columbia (2015-2017). He was a graduate Teaching assistant in the University of British Columbia and has served in a variety of duties at the ARC including CRF High Risk Counselor before assuming his current duties as Director of the Community Residential Facility(CRF) in 2018. Jeff wore a variety of managerial hats at the Big White Ski Resort from 1998-2007. This was followed by youth work at the Cyrus Center in Abbotsford for 4 years as well as his full time studies at Columbia College. Jeff moved on to Union Gospel Mission on the Downtown East Side (DTES) where, from 2010-2015, Internship led to Outreach led to Community Engagement positions, This resulted in work in streets, alleys and boardrooms in service to the disposed of Vancouver participating in advocacy opportunities, honing excellent leadership and management skills, and collaborative team player abilities, including the ability to energize self and others. During this time he has reached out to applicable business, government, non-profits and private citizens to develop relationships, opportunities and partnerships and stakeholders in a way which benefits DTES. He has exercised his judgement in facilitating budgets. Providing leadership in these cases he provided servant-leadership nourishing a truthful, forgiving, approachable, joyful, healthy environment and supervising outside consultants and vendors, researching and soliciting tenders as needed for various projects, evaluating existing contracts while researching new opportunities for more cost effective partnerships. He is social media savvy. Keith Linder - Inspector, Victoria Police Dept.